News Archives - Page 2 of 11 - Payne Transportation Ltd.
Payne Transportation opened its doors for business over 16 years ago. During those first few months we developed our Mission, Vision and Values that we lived by as we successfully grew our business. 16 years ago, these were leading edge statements and very innovative. However; today, they stand for what we were more than who we are and who we wish to be. We long ago reached our vision and it is therefore no longer a vision. Our values have been copied by many and in fact are now a given in today’s world, in order to succeed long term. Therefore, we decided to review our statements at this year’s Leadership Conference and developed new ones that don’t change who we are, but define it better. A new vision to aspire to, and values expanded to include our integrity within. We are pleased today to introduce these new statements to you all. If we remember these statements and apply them to everything we all do, success will always be ours and our future bright. – We felt our life really is about the highway. It is part of our culture and it’s what we do. We wanted to integrate our slogan into our mission statement. – We wanted to set the bar high…we are a leader in innovative transportation but we want to be the leader. And we don’t want to ever sacrifice our culture in getting there. – Our Mantra has always been “No Payne, No Gain” but what did it really mean to all of us. We wanted our values to show clearly what it means. We hold ourselves accountable. We will go above and beyond to ensure success for all stakeholders…Employees, owner operators and our customers and never sacrificing to do so. Learn them, live them… in everything you do. 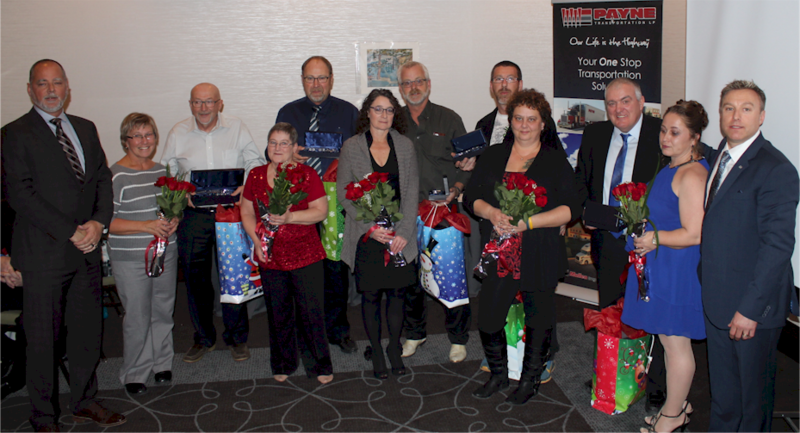 Congratulations to all those receiving their awards for 15 Years of Service. 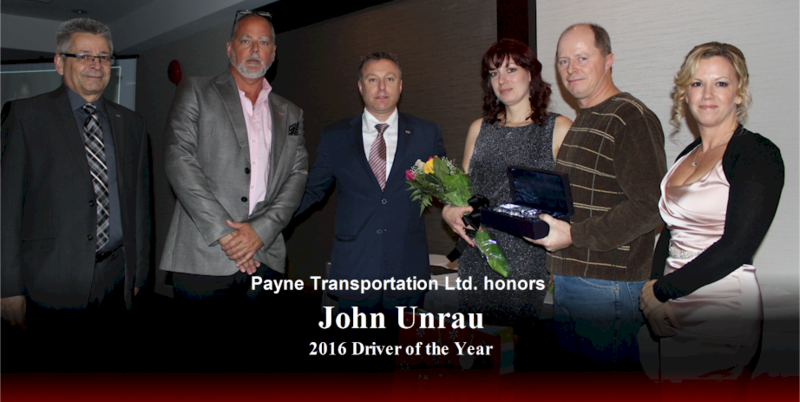 Payne celebrated its 2nd Annual Awards Gala and had over 200 attendees present at the Hilton Suites Winnipeg Airport, Daniel Pretali was awarded Driver of the Year for 2014. 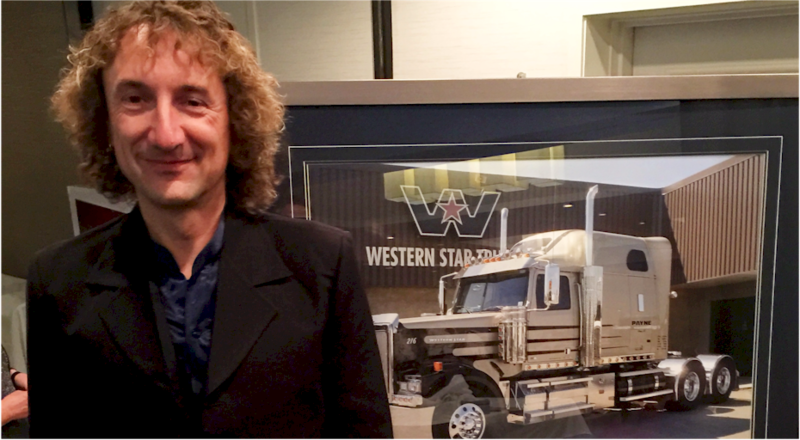 Daniel received a gorgeous crystal tractor/trailer personalized to him. Greg Ashcroft of Connexion Truck Centre surprised Daniel with a beautiful framed picture of his tractor (pictured above). Last year Daniel received the 1st runner up to Driver of the Year and continues to be someone who stands out amongst his peers. Congratulations to Menno Falk (520), for May 2014′s Driver of the Month. Menno is no stranger to this award, less than a year ago he won Driver of the Month for September. Menno has been named a nominee SIX (6) times in the past 3 years! Outstanding! Menno drives for our dry van division, dispatched out of Winnipeg. In recognition of this award, Menno receives a $100.00 gift certificate for a restaurant of his choice as he already is sporting a Driver of the Month Melton Leather jacket. His grandson Mason was onsite to help celebrate his award. All nominees will receive a gift certificate for a Timmy’s card… please contact Thomas at the Winnipeg branch for details. 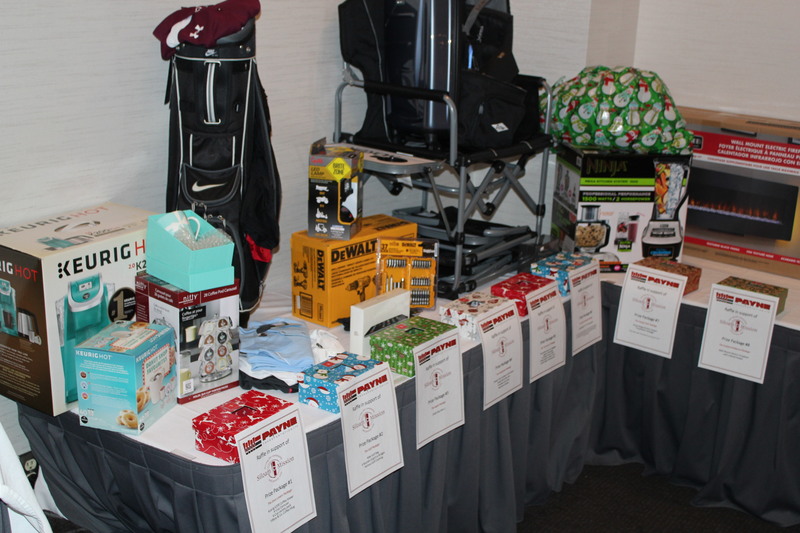 For those on the list that dispatch out of the Fort or Winkler, please see either Tim or Helmiene for a gift certificate in your area.